Oral Dental Care is something of an immense importance. If you take proper care of your teeth, then you can save yourself a lot of money. Later in years, you will not need to face tooth decay or toothache if you are persistent enough to take extra care of your teeth. Flossing is one of the most recommended practices in dental care to prevent plaque and tartar festering between the teeth. Flossing at night is advisable as it removes all the leftover food particles and cleanses your mouth. You can choose between Nylon or PTFE floss. Both the types are recommended by dentists around the world. The Nylon floss isn’t shred resistant so chances are that you can tear it when using between sharp and contact points. It doesn’t easily slide between tight spaces as well, whereas PTFE floss works both ways and is also costly as compared to the other. 1- You have to make sure that you floss every night before expecting to view actual results. 2- It is advisable that you spend ample time on each tooth to get the plaque off it. 3- Make sure that the pressure you apply during the floss is enough. If you are too gentle, then chances are that you may not be able to remove the excess grease. Usually, the food particles are stuck between the teeth and around the gums. This is the area where flossing should be focused with a firm grasp and a standard time limit for each section. 4- If you are not flossing regularly, then there is no guarantee that you will prevent toothache or decay. 5- Try using a mouthwash after the floss to get rid of any food particles that may have been missed. 1- Learning to floss can be a little tricky at first, but then there comes a time when you will be accustomed to the techniques. 2- Use an 18 inch floss thread (Nylon or PTFE). Wrap the ends around your fingers, leaving about 2 inches to work it. 3- Avoid applying too much pressure to damage or blister the gums. Stay firm but gentle on while cleaning the inside. 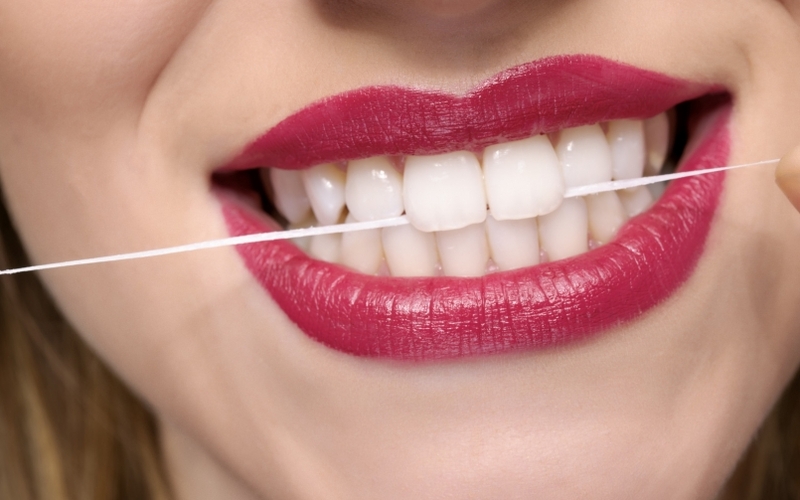 4- Follow the curves of your teeth when you are flossing the sides and inner corners of the teeth. 5- It is possible that your gums may bleed at the beginning as they are sensitive, but that will settle with time and consistency. These simple tricks are the basic and a kick-start guide on how you can maintain your teeth to shine brightly and retain perfect oral hygiene. You can also invest in a good quality mouthwash, toothbrush and toothpaste. Harsh chemicals will do you no good, so keep an eye out for them. Use mild chemicals to ensure the proper cleaning of your teeth daily and we can assure you that you will see brighter results in no time.